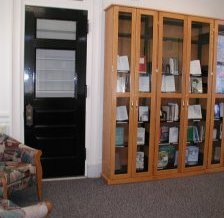 The Author's room is a place at the NH State Library where the Center for the Book puts together occasional exhibits on various aspects of New Hampshire's literary heritage and the programs and activities of the Center. 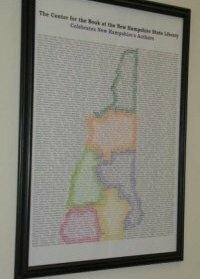 In 2007 we began a Spotlight on New Hampshire Authors exhibit. 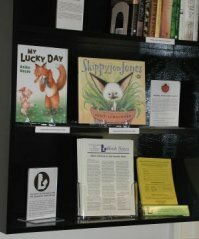 In cooperation with the Reference Section of the New Hampshire State Library this spotlight exhibit is envisioned as an opportunity for us to draw attention to individual Granite State authors and to develop resources about them that will be available as an ongoing resource through our web site. 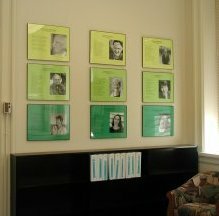 Our first display, in April 2006, was on New Hampshire's Poets Laureate. 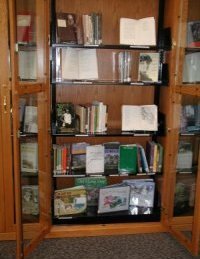 A special issue of Book Notes was published on the subject as well.